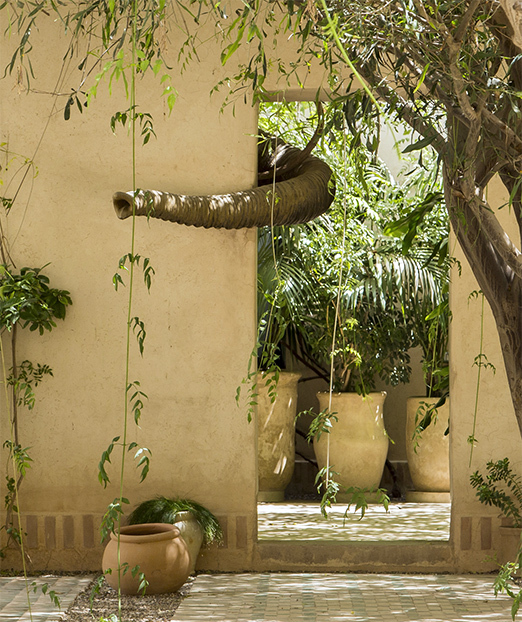 In the heart of the Palmeraie of Marrakesh, only 15 minutes’ drive from the walls of the ‘Red City’, lies a unique privately-owned estate: Dar El Sadaka. Within the grounds of this playful, beautiful and truly magical place, we welcome you in our fully-staffed villa for your holidays and private events. 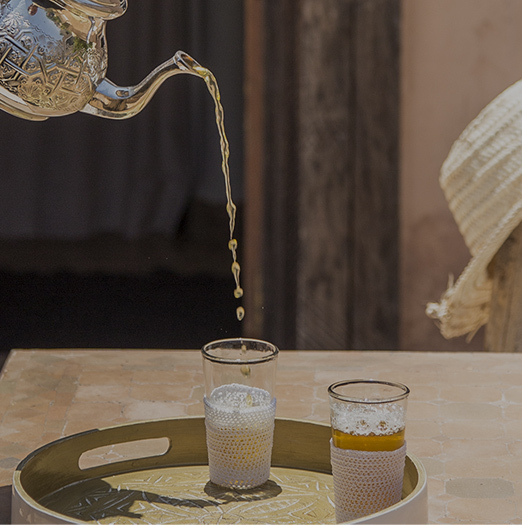 Designed by French visual artist Jean-François Fourtou and fully refurbished by Philippe Forrestier, with lush gardens, stunning interiors, delicate cuisine, caring staff and artwork throughout the property, Dar El Sadaka is the perfect retreat for the epicureans, the art lovers and the most discerning travellers. 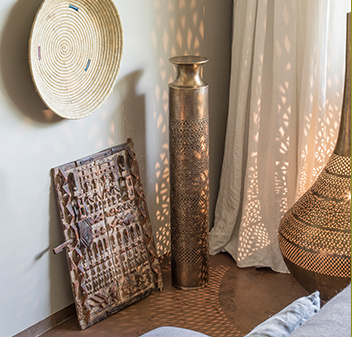 With its spacious interior living spaces, including nine individually themed suites and bedrooms, our villa is ideal for seventeen guests and can accommodate up to twenty. A playful suite with a plunge bath for two. An expansive suite with stunning views out over the olive grove. A master suite with a plunge bath for two. A homey suite with a private garden. 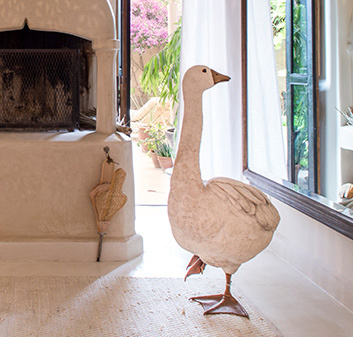 A delicate suite with a private garden. A cosy en suite double bedroom. A majestic suite with an outdoor freestanding bathtub. An intimate suite overlooking the mimosa courtyard. A vibrant en suite double bedroom. 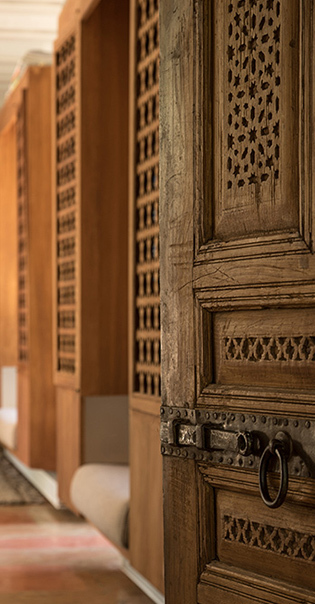 The villa at Dar El Sadaka is available for private hire only. From € 3400 per night, minimum 3 night stay, for up to 20 guests.